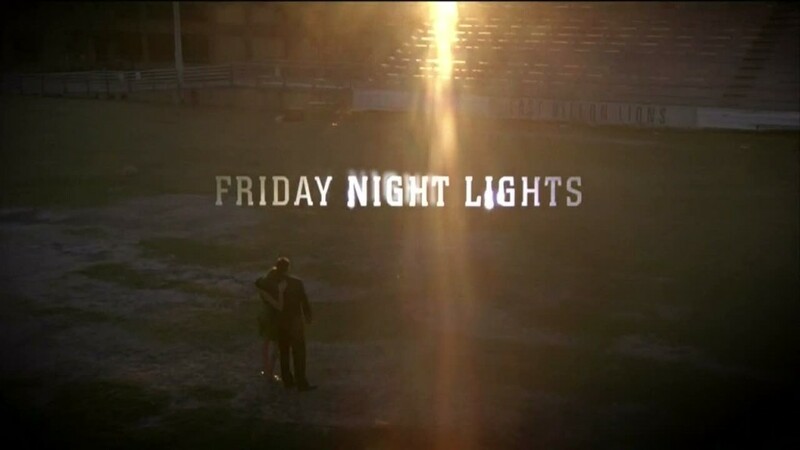 I’ve not long finished season 4 of Friday Night Lights and it has to be one of the best seasons they’ve made so far. The cast had a huge shake up introducing a plethora of characters and a new side of Dillon. Tim has been around from the very start; he was a Panther but not any more. At the start of the season Tim quits college and moves back to Dillon and starts work with his brother Billy. Tim can’t stay with Billy forever because Billy is expecting a child with his ex-pole dancing wife. Tim ends up in a bar and ends up going home with a bartender there, he sleeps with her and the next morning encounters her daughter Becky. Ti becomes a chauffeur to Becky for a while and they develop a good friendship. Eventually the mother/bartender offers Tim the trailer in the back garden and moves in. Along with working with his brother he goes and helps Coach Taylor out with the Lions but its very intermittent. One day he drives past a sign thats promoting the sale of some land and he gets it into his head that he needs to buy it. Soon after he visits the real estate agent who tells him the price and it’s way out of Tim’s price range. Tim visits the garage and sees Billy stripping down a car for part, a chop shop. Billy’s trying to earn as much as he can so he can take care of his baby and wife. Tim, knowing he needs way more money before he can own his own land, helps out. They’re chopping cars for a while and they get to a point where it’s becoming dangerous for them to dispose of at a scrap yard. They decided to do one more and bury it deep down. All is good; Billy’s wife gives birth and Tim buys the land. However, Tim and Billy are working late one night and the cops come storming in and question them about chopping cars. Tim, having grown a lot over the season decides to man up and turn himself in. He tells the cops that it was all him and his brother, Billy, had nothing to do with it. If there was one team in the world that Coach Taylor didn’t want to coach it would be the Lions. The team was basically non-existent at the beginning of the year but Taylor soon got a reasonable team together with a few star players. One of them being a total new addition to the show, Vince, who’s been arrested a few times. The Lions play game after game after game and lose them all. That is until the ‘Toilet Bowl’ match which pitted the lions against fellow bottom-of-the-table team, the Timberwolves. That is their first win and the first time we really see the new team gel and play as a team. The biggest match of the season and the biggest match for Coach Taylor comes up quick; West Dillon VS East Dillon. Taylor wanted and needed to win this match so much and they did. Coach believed in Vince’s ability to read the field and he believed in Landry’s ability to kick a 45 yard field goal which tipped them over to win. I actually had the preconception that this season would be worse than before. The majority of the cast is new; no Lyla and no Tyra. Also Matt disappears in the middle not long after his dad dies. So, in reality the fresh faces did what they were supposed to do, freshen up the show. Now I’ve only got the fifth and final season left to watch and I’m excited to see how it’s going to turn out. I feel like the Lions are going to continue to succeed and eventually reach state. I even hope they win which would end the series on a great note. ← Continuum: What Have We Got To Lose?